The Art Newspaper can report that last year the South London Gallery returned a £125,000 award after the money had already been banked. This precedent may well have paved the way for the decision by the National Portrait Gallery (NPG) and the Sackler Trust last week not to proceed with a £1m grant from the trust to the NPG. If the NPG had decided to accept the grant, it would have opened it up to criticism if it later emerged that a smaller and more vulnerable public gallery had returned the Sackler money. The NPG issued its statement on 19 March, saying that the £1m pledge by the Sackler Trust towards its £35.5m Inspiring People development project would not now “proceed”. Technically, the trust withdrew the grant, although this occurred after the NPG had indicated that it would be difficult to accept the money. Much of the Sackler money comes from the proceeds of OxyContin: a prescription painkiller. This drug is linked with the opioid crisis, which critics say is now killing 100 people a day in the US. OxyContin is manufactured by Purdue Pharma, a Connecticut-based company primarily owned by the descendants of the late Mortimer Sackler and his brother Raymond. Purdue is now facing lawsuits over the marketing of the drug. The company denies the allegations. 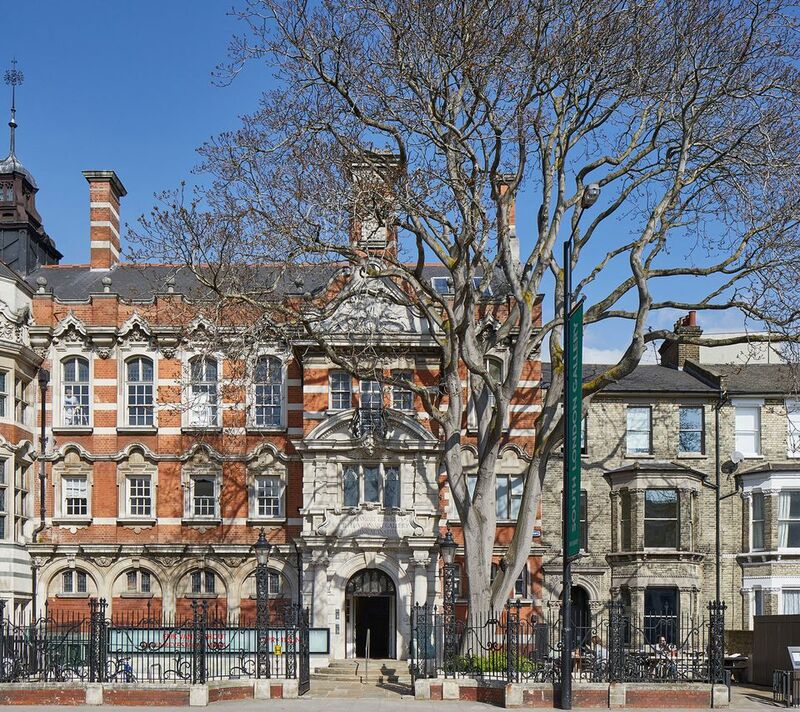 The South London Gallery, which shows contemporary art, had been embarking on a £4m development project develop an additional site across the road in a former fire station. In 2016 the Mortimer and Theresa Sackler Foundation offered £125,000 for an education centre. Last year the South London Gallery director, Margot Heller, had growing concerns about accepting the Sackler money. The gallery’s trustees, under their chairman Matthew Slotover (a co-founder of Frieze), decided to return the money. Heller tells The Art Newspaper that “the gallery’s board took a majority decision that it was in the best interests of the charity to return the grant”, primarily because of potential reputational damage. The South London Gallery Fire Station was opened last September, with the educational centre being funded by other donors. So, what went on behind the scenes over the NPG’s decision? Its 2015 fundraising policy states that “we have a responsibility to ensure donations are not accepted from questionable or inappropriate sources”. The Sackler Trust privately offered the £1m in June 2016; later the news leaked out and it became clear that accepting the money would spark protests. Last year, the NPG trustees set up an ethics committee, comprising two trustees and one outside member, to examine potentially questionable donations. The NPG’s director Nicholas Cullinan and his development team compiled a report on the Sackler Trust grant, which was considered on 27 February. Meanwhile, last November, the American photographer Nan Goldin privately warned the NPG that she would refuse to proceed with a proposed exhibition if the Sackler money was accepted. David Ross, the NPG’s chairman, commented: “I acknowledge the generosity of the Sackler Family and their support of the arts over the years. We understand and support their decision not to proceed at this time with the donation to the gallery.” An NPG spokeswoman said that “we fully respect and support the Sackler family’s decision.” The gallery has now raised £29m from other sources. There is hardly a large museum in London that has not accepted Sackler money, although it is only in recent years that the dangers of OxyContin have become widely known. This excuses museums which solicited grants earlier in the 21st century. Even recently, however, some galleries have received funding from the trust. In the UK, there are two Sackler charities embroiled in the OxyContin controversy. The Sackler Trust was set up by Theresa Sackler, the English third wife of Mortimer, a former chief executive of Purdue who died in 2010. The Dr Mortimer and Theresa Sackler Foundation is a major donor to museums and the arts. Anyone visiting major UK museums will find that the Sackler name is ubiquitous: the Sackler Gallery at the Serpentine, the Sackler Escalators at Tate Modern, the Sackler Courtyard at the V&A and the Sackler Library at the Design Museum, to name a few. There will be mounting pressure on museums to drop the Sackler name, although this would need the agreement of the relevant family members. The Times reported that a Tate spokesperson says “in the present circumstances we do not think it right to seek or accept further donations from the Sacklers”.